Perched atop the Hatun Wasi Hostel in Huaraz, Peru, the breakfast room is a spectacular place to welcome the day. On a clear day, you are graced with a majestic views of the famous Cordillera Blanca mountains. Located near the city, the range are in the Huascarán National Park and include 33 peaks that sit at over 18,000 ft (5,500 m). Every morning the ladies of the hostel take special care of you and cook up a delicious breakfast of scrambled eggs, bread, juice and coffee (in a lovely cup and saucer I might add) or as we said at the hostel (en español)… huevos revueltos, pan, jugo y café. 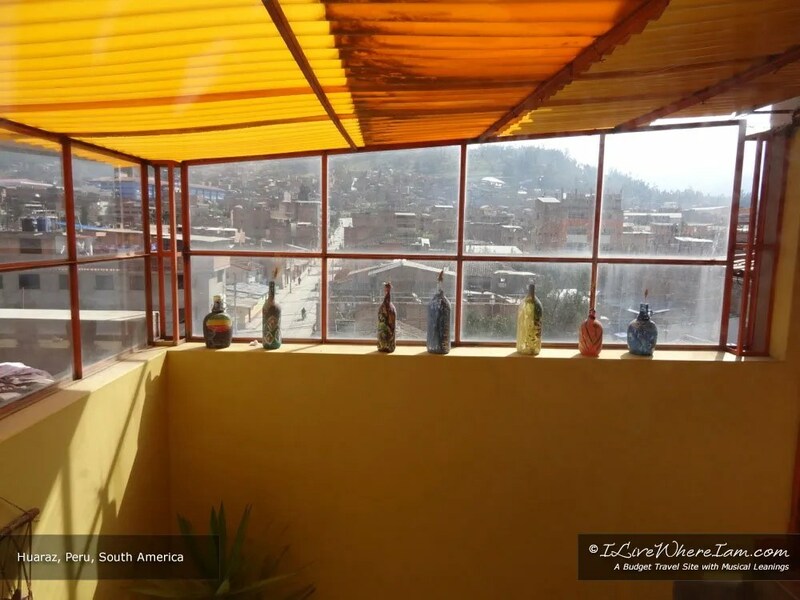 Hatun Wasi Hostel is a delightful and friendly place to stay while you visit Huaraz and the local mountains. Booking info for Hatun Wasi Hostel.